How much thought do you put into your Social Security benefits? If you're years away from retirement, the answer is probably "not much." But if you're among the countless Americans who fail to review their Social Security earnings statements on a regular basis, you could end up losing out on thousands of dollars in retirement income that would otherwise be yours. 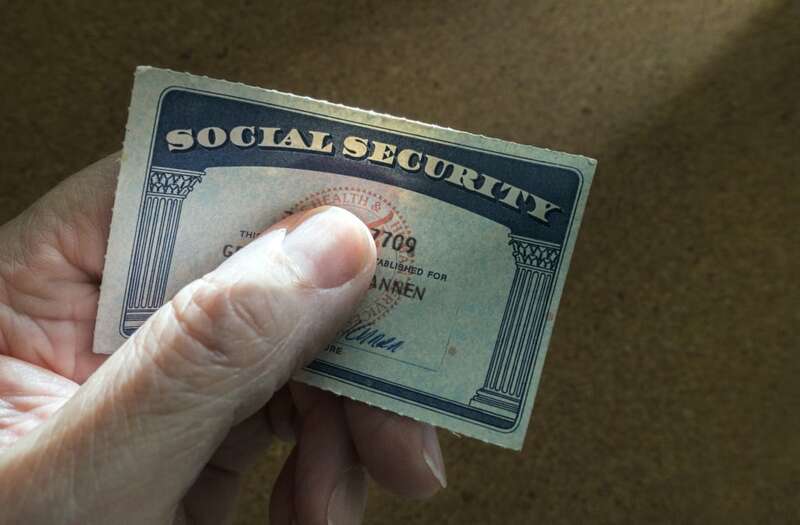 Is your Social Security record accurate? If you're not familiar with a Social Security earnings statement, it's basically a summary of the income you've earned to date. In addition to your earned wages, your statement will contain retirement, disability, and survivor benefit estimates. Given that the Social Security Administration mistakenly declares 14,000 people dead every year (true story), it's not unheard of for an individual earnings statement to contain mistakes. But if your statement contains errors that work against you, you might lose out in a very big way. See, your Social Security benefits are calculated based on your top 35 years of earnings. For every year you don't work (say, because you've taken time off to raise children or care for a family member), you'll get a $0 factored into your equation. Similarly, a meager entry-level salary early on in your career will bring down your overall average, which will, in turn, bring down your eventual benefit amount. So if your statement lists an amount for any given year that's lower than what you actually earned, it could similarly bring down that average and slash the amount you receive in benefits. Say you're 50 years old earning $80,000 a year today. Assuming your salary doesn't increase, you'd be looking at $2,304 in monthly Social Security benefits provided you wait until your full retirement age to claim them. Now imagine an egregious clerical error occurs, and instead of listing $80,000 on your earnings record, the Social Security Administration only lists $8,000. That mistake could, in turn, knock your monthly benefits down to just $530 at full retirement age. Over a single year, that error could cost you $21,288 in foregone payments. And over the course of a 25-year retirement, you'll be short a whopping $532,200 in Social Security benefits that should've rightfully been yours. Of course, this is a pretty extreme example, but the point is that it can happen. And if you're not vigilant about reviewing your earnings statements and getting ahead of errors, you stand to lose out big time. It's best to report mistakes on your Social Security record as soon as spot them -- especially since you only have three years, three months, and 15 days after the year wages are earned to correct a mistake pertaining to that income. If you see that your record contains erroneous or missing earnings, you should contact the Social Security Administration at once and come prepared with proof of your claim, such as old tax returns and pay stubs. In the absence of such official documentation, you can instead provide information such as the name of your employer at the time, the dates you worked, and the wage you believe you earned. One thing to keep in mind is that if you're a higher earner, you may not pay taxes on all of your Social Security income. Last year, for example, workers were only taxed on their first $118,500 of earnings, and this year, workers are only subject to taxes on their first $127,200. Because earnings above these levels aren't factored into the Social Security benefits formula, you may see them listed separately on your statements, so don't get too thrown. Because the Social Security Administration sends out paper earnings statements rather infrequently to younger workers (those 60 and older get a paper copy in the mail each year), the best way to access your personal record is to sign up for access online. From there, you can view your earnings statements and take steps to clear up any errors you spot. It's also a good idea to review your estimated Social Security benefits, either independently or together with your financial advisor, to see what sort of role they might play in your retirement plan. Though you shouldn't expect to retire on Social Security alone, those payments can, and should, be factored in as a potential source of income. Ignoring your Social Security statements could end up being a costly mistake if you lose out on the opportunity to correct major errors. Going forward, set a yearly calendar reminder to log into your account and review your earnings statement. A little attentiveness now could prevent you from losing thousands of dollars in retirement income that you really can't afford to live without.